Roast duck is a very rich meat that can be a little messy in the oven – as it has a high fat content, it tends to spit, leaving you with a little extra clean-up. But if you’re entertaining, your guests will really appreciate the effort. Roast duck is wonderful served with the red cabbage and apple, gratin potatoes and bread sauce. And don’t discard the fat from the roasting tray! It’s fantastic for roasting potatoes and root vegetables. 1. Preheat the oven to 220°C. 2. Melt the butter in a medium-sized pot over a low heat. Add the chopped onion and cook slowly for 5 minutes. Add the cranberries and sage and cook for a further 3 minutes, then add the breadcrumbs and mix well. Taste and season accordingly. 3. Place the duck on a wire rack set on a baking tray. Fill the neck of the duck with the stuffing, then place the orange, lemon and sprigs of thyme into the cavity of the duck. 4. Using butcher string, tie the legs together and around the parson’s nose. This helps the duck to roast more evenly, as the legs won’t cook as quickly this way. 5. Roast for 40 minutes, then reduce the heat to 190°C for a further 1 hour 20 minutes, basting occasionally with the fat in the tray. 5. When cooked, the skin should be quite crisp from the basting and the meat should be cooked all the way through. 6. You can check this by piercing the thickest part of the thigh with a knife or skewer – the juices should run clear. 7. To serve, it can be carved just like a roast chicken with the cranberry stuffing alongside. Gearóid Lynch purchased The Olde Post Inn in Cloverhill, Co Cavan with his wife Tara in November 2002. When he was diagnosed with coeliac disease, the pleasure of cooking was briefly taken from him. 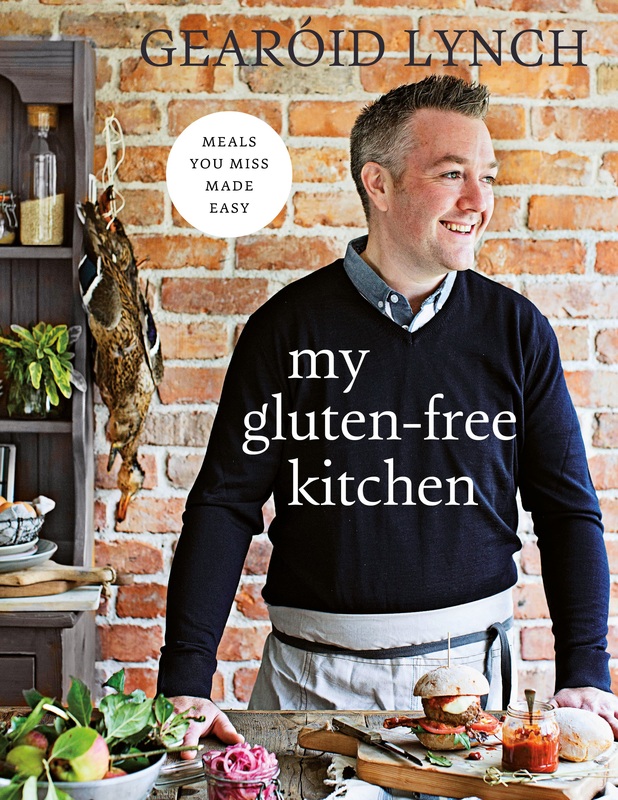 Refusing to let the diagnosis limit his enjoyment of food, he created a variety of delicious, gluten-free adaptations of everyday dishes, which he shares with you in his book My Gluten-Free Kitchen. As well as tempting breakfasts, lunches, dinners and desserts, there’s a section on store-cupboard staples and basics, including gluten-free bread, pizza and pasta. With a few small adjustments, those with coeliac disease will no longer miss out on their favourite meals.